The start of a new year signals a new start for many people across the UK. Becoming a Driving Instructor can be a great way to get away from a job you don’t enjoy and join the thousands of other Bill Plant Driving Instructors starting in a new career. As a leading Driving School in the UK, we are always looking for talented new Driving Instructors to join our team in helping new learner drivers achieve independence. We welcome new and experienced Driving Instructors to join us in 2019. Take a look at our top reasons to become a Driving Instructor this year. In each year since 2013, the amount of people taking driving test has risen. There is more demand for Driving Instructors than ever before and it is still rising. Young people in the UK have an increasing desire to learn to drive, which is showing no signs of slowing down. As one of the UK’s leading Driving Schools, we have Driving Instructors in most towns and cities nationwide. We always have a demand for Driving Instructors no matter your location. As a Bill Plant Driving Instructor you choose your own hours and days you work to fit your lifestyle. Work around taking the kids to school or meeting friends and family with complete control of your own diary. 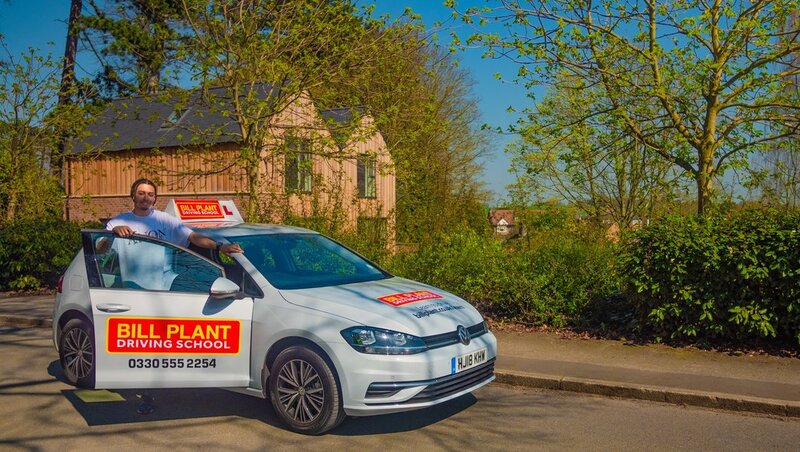 Bill Plant Driving School do not schedule your working day, we only assist in helping you generate more lessons in your local area through our national marketing campaigns. Take a step to a more positive future and control the direction you take as a Bill Plant Driving Instructor. Driving Instructors working a 40 hour week can earn an average of £35,000-£40,000 in a calendar year. Your earning potential is whatever you make it – more hours of tuition and more lessons will mean you earn the higher end of the spectrum! Bill Plant Driving School do not take a commission or lead referral fee for providing pupils as some other Driving Schools do. You simply pay us a monthly franchise fee and the rest is yours to keep. All pupil payments are also made directly from student to instructor. Driving Instructors Have Job Satisfaction. Being able to teach a young person a valuable life skill makes for a very rewarding job. Meeting new people each week and being able to positively influence their life is something our Driving Instructors always say is a great part of the job. Don’t take our word for it. Take a look at why our instructors love having a Bill Plant Franchise. Becoming a Bill Plant Driving Instructor could be the best thing you ever do and kick start your 2019 in a positive direction. We welcome new and existing Driving Instructors to join us and help to change the lives of thousands of learner drivers across the nation each year. With Bill Plant Driving School you will be treated as a person, not a number. Every member of our team, no matter their location, matters to us. From premium BMW and Volkswagen tuition vehicles as part of your package to help you stand out from the crowd, a dedicated support team behind you, a Bill Plant Fuel Card to lower your costs and so much more, we offer you all the help and support we can to ensure you achieve your goals as a Bill Plant Driving Instructor. If you are already a qualified Driving Instructor you can become part of the Bill Plant Driving School Franchise. Request a franchise information pack and a member of our team will be in touch to discuss getting you out on the roads in 2019. If you are new to driving tuition, fear not. Bill Plant Driving School welcome new instructors to the industry with a comprehensive training program to help you become a Driving Instructor. If you would like more information on Driving Instructor Training with us, take a look at our Frequently Asked Questions or contact a member of our Driving Instructor Customer Services Team.